The Real Life Adventures of Jimmy de las Rosas. The Real Life Adventures of Jimmy de las Rosas is the rare play that I directed but didn't co-create with an ensemble. 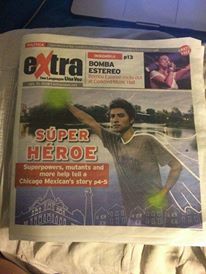 Written by Ricardo Gamboa, the play is about a 13-year old Mexican-American boy living in Little Village. He has two secrets: his mom is undocumented and he has telekinetic superpowers. When his mom is kidnapped by a pack of mutant chihuahuas, he teams up with two other superpowered young people to try and set her free. 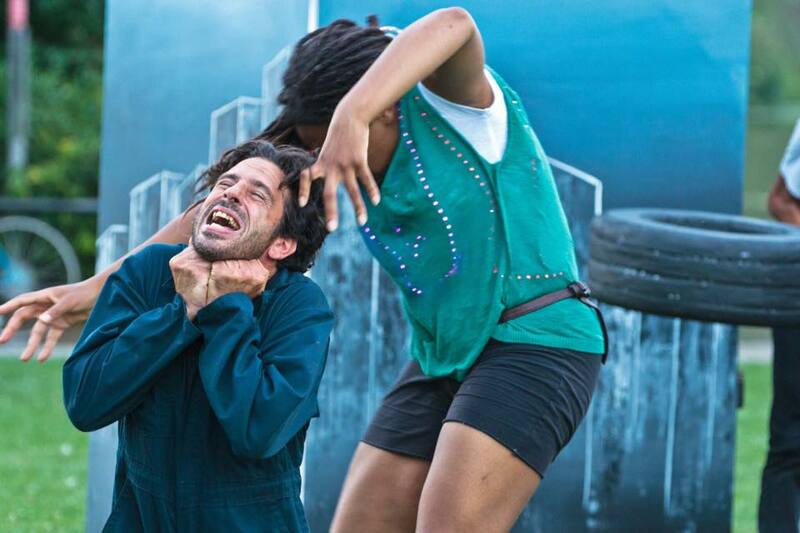 This play was produced as a free outdoor event in collaboration with the Chicago Park District's 2015 Night Out in the Parks Initiative, and toured to 7 different Chicago parks. Audience watching the play at Calumet Park.